AlliKat Quilts: Cardinal Red Star Quilt - A finished flimsy! 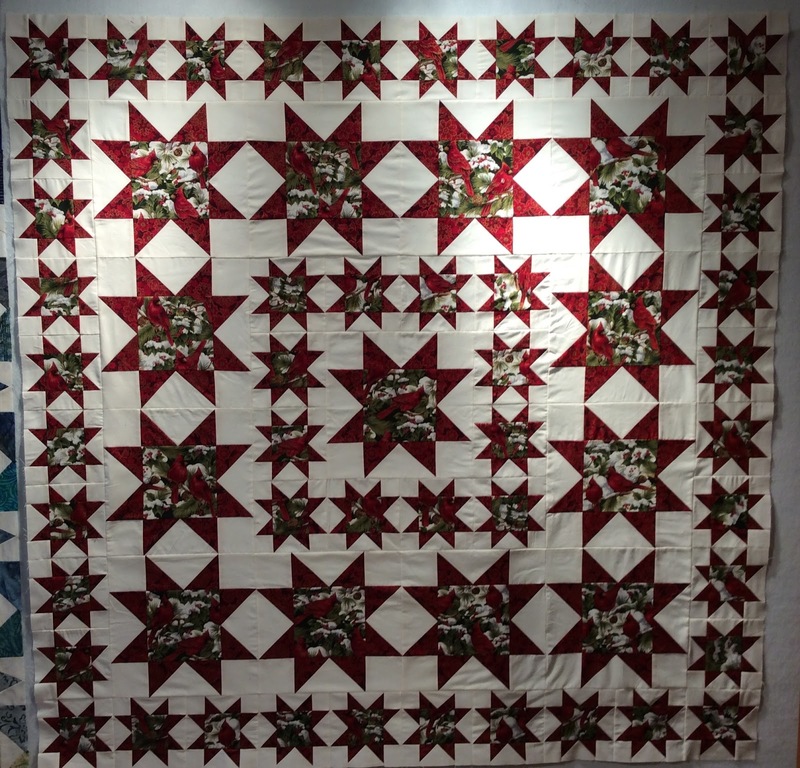 I started this quilt last fall but put it aside in order to work on Christmas sewing. Today I attached the final borders of half-size stars. The large stars finish at 12" and the small stars finish at 6". I will probably add another narrow border of the plain background fabric before quilting it so the binding doesn't cover up any star points. 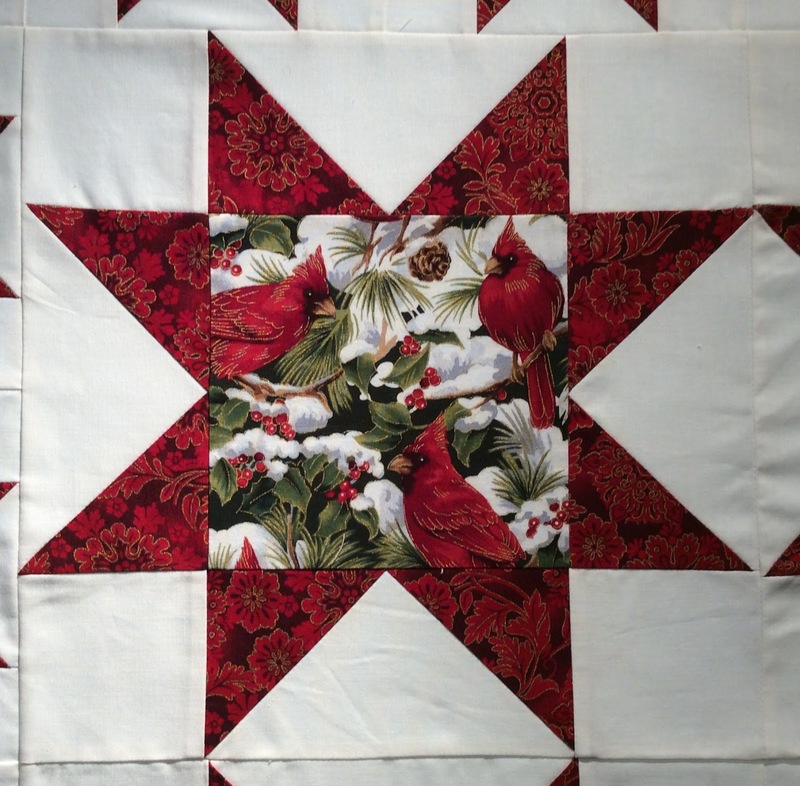 The lighting is not good, so here is a close up of one star so you can see the Cardinal fabric and the red snowflake fabric. 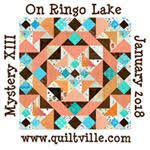 At the January Mayflower Quilters' Guild meeting our President announced a challenge for our June year end meeting. She wants everyone to bring in Star Quilts, so my goal is to have this quilt finished for that meeting. I'm linking to Crazy Mom Quilts for Finish it up Friday! Beautiful Job! I may want to copy this pattern with my own reds.